In Snæfjallahreppur and Grunnavíkurhreppur parishes in Iceland's Vestfirdir (West Fjords), there has been a great deal of change over the past hundred years. As the 20th century began, there was a vibrant settlement in the area, with a substantial number of inhabitants, when compared with the country as a whole. Those numbers had increased steadily over the centuries. 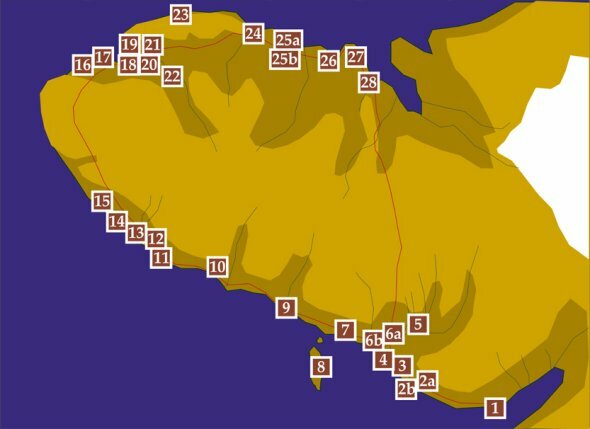 In 1703 there were eight inhabited farms on the Snæfjallaströnd coastline, with 147 inhabitants, of which five were not of working age. In 1801 the number of farms was the same, but the settlers' numbers had fallen to 130. In most instances there were two or three farms on each land parcel, and on one, Unadsdalur, there were four, so that the number of farms was actually 20. The population of Snæfjallaströnd grew rapidly from that point, and by the year 1900 there were over 300 people there, when the rowboat fishery was at its peak. By 1910, though, the population had dropped to 223, and by 1930 there were 21 inhabited farms in Snæfjallahreppur parish with about 150 inhabitants. During these years and throughout the 1930s the population fell sharply, with families moving away, especially from the outer part of the coast. Old land parcels that had been considered valuable then became uninhabited for the first time, and in the settlement history exhibition at Dalbær there is an emphasis on examining conditions around 1930 and in the years following, when a drastic upheaval took place and the character of the coast was changed. Around 1900, on the outer part of the coast at Sandeyri and Snæfjallastadur, was a fair-sized community of fishermen who made their entire living from the sea, lacking rights to use the farmland. At its peak there were fourteen families in little huts on a small patch of land, but with rich fishing grounds just offshore. Kristján Jónsson from Gardsstadir wrote in detail about the inhabitants and boat captains there in 1901, in the seventh edition of the historical journal Ársrit Sögufélags Ísfirdinga. At Grunnavík the fishery was strengthening as well at this time, and did so up into the 1950s. Thorvaldur Thoroddsen says in his travel book Ferdabók from just before 1900 that there was a community of huts right at the sea's edge at Grunnavík. About 80 people were believed to have lived there. Jóhann Hjaltason wrote in 1949 that there was an attractive community there, With the farms close together. The community was called Í víkinni, with about 70 people. It's clear that this was the beginnings of a town, which practically vanished without a trace in just over a decade. The community on the inner coast remained strong at this time, although the number of farms decreased. With transportation improvements and regional planning, an attempt was made to keep the area from becoming deserted, as had happened with Grunnavík in the autumn of 1962. Developments could not be halted, though, and the last farmer disappeared from the coast in the autumn of 1995. Since then there have only been people there in the summer, just like at Grunnavík and Höfdaströnd, not counting weather observers and the lighthouse keepers at Ædey island. In the exhibition the story is told of how the community in this area met its end, the accomplishments of the people and their beliefs. In the history Hornstrendingabók Thórleifur Bjarnason says that in such a dramatic setting, confrontations with dead spirits and ghosts and white magic against them were an attempt by people living in such a remote place to show their strength, and with that they came to make up the most substantial part of local stories and adventures. Thórleifur adds that in victories over the forces of evil by people of knowledge, people found strength and a sense of accomplishment. At the show can also be heard ghost stories and stories of the hidden people from the area, of which there are plenty. Taking the route from Kaldalón out to the Snæfjallaströnd coast, through Grunnavík and Höfdaströnd and back over Dalsheidi heath to Unadsdalur valley, it becomes clear that this region holds the story of great changes and confrontations that needs a second look. Much of the material here is based on Engilbert Ingvarsson's unpublished manuscript Híbýli og húsbændur á Snæfjallaströnd 1930-1935 (Houses and People on the Snæfjallaströnd Coast 1930-1935), as well as Gudrún Ása Grímsdóttir's books Grunnvíkingabók (The Book of the People of Grunnavík) and Ystu strandir nordan djúps (The Outermost Coast North of Ísafjardardjúp bay).